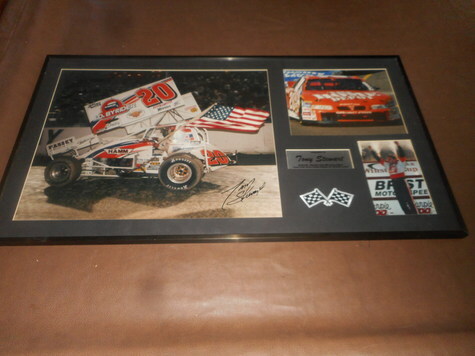 Beautiful one of a kind Tony Stewart Collectable. Signed 18x22 Photo. Frame 22x40. Glassed Framed. Heavy item. Few scratches on frame.